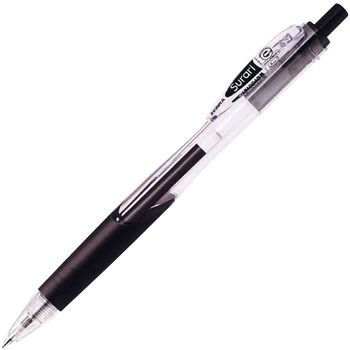 Customer Reviews of Ball Point Pen, "SURARI 0.7"
Bottle buying and home ballpoint pen is this only. Grip is easy to grasp, easy to write, other can not be used. This review is about item#36673427. It is easy to write. I also feel like being thin with 0.7. It is good to write with moderate thickness. Although it was used for filling in various forms, sometimes it was used for filling in the voucher of a parcel delivery service, the writing taste is smooth, it is easy to apply writing pressure, it is most suitable for entering slip issue. Tired, smooth writing taste best. There are no things to tell you about now, such as several sheets of pressure sensitive paper or several slips. Ball Point Pen, "SURARI 1.0"
Ball Point Pen, "SURARI 0.5"